What did you see in the market that motivated you to start VoiceLabs? Adam Marchick: The first thing I want to do is give a lot of credit to my cofounder Alex Linares the Chief Product Officer at VoiceLabs. I was skiing and on sabbatical because I hadn’t had a vacation in five years and was thinking about doing something new. Alex was an Entrepreneur-in-Residence at Chernin group and gave me a call. “Have you checked out this Echo thing.” He is an amazing product person. He built the number one Facebook app. He had one of the first apps to reach one million downloads from the App Store. He told me, “This Echo thing is amazing. Once I started using it, I’m never going back.” I’m an enterprise software nerd so I said, “Where is the Ad Mob, the Flurry or Kahuna here.” They didn’t exist. I saw that developers had no help with analytics or monetization. We started talking to people about where there were needs. I was on the Facebook growth team and immersed in the emerging ecosystem. So, I asked similar questions to Alexa developers: “Do you know how your users are experiencing your apps? They said, ‘No.’” I tried trying to use mobile analytics but it didn’t work for voice. When we dug in, we realized there were differences between voice, mobile and web that required a specialized package. Marchick: Analytics for voice applications. A lot of this comes from my background in actionable analytics. So I started asking questions, “What does my usage look like? Are people opening my skill and leaving delighted or frustrated? Are they opening the skills repeatedly and with what usage patterns? Are they getting the right answers? How are they navigating?” That is where the creation of voice pathing came from. VoiceLabs is the next generation of funnel analytics made for voice. VoiceLab’s Voice Pathing showing a successful voice session in a developer’s Voice app. “Successful sessions are the key to a delightful consumer experience,” said VoiceLabs CEO Adam Marchick. Are you building Google Analytics for the voice web? What else do you have on the horizon? Marchick: I like to think of this as more Mixpanel because we are going to be cross-platform and I really respect them, but Google Analytics is also a good analogy. It’s not just, “here are your metrics.” It is also, “What was your goal conversion and monetization?” It is voice-specific which is different. In mobile and web the click-throughs matter a lot. In voice, it is lot about what is being said and the intent and how voicebots respond to spoken words. On the web you only care that they entered the email. Great. Here [in voice] it matters a lot what they said and how Alexa responded. Looking at logs and pulling out the speech-to-text. It’s more than just looking at interaction metrics. We are also evaluating the responses provided by Alexa. That is where you really see the consumer experience play out. That is where the analytics are critical and the insights are really actionable. You mention in a blog post that our devices will largely determine which assistants we use because their will be too much hassle to switch. Given that statement, which platforms are you betting on will have the biggest user base? Marchick: Right now, it’s impressive that Alexa is on the Echo, Fire TVs and all of their Fire Tablets. That by Q1 should be about 40 million devices. It’s no secret that Apple has 1 billion iPhones sold so Siri will be big. Google’s assistant will be big part of this story because of Android. Samsung with the acquisition of Viv is now important. Microsoft is smart so something will happen and they have 20 million Xboxes so they have a built-in user base. There are access points and AI. There is no question that Apple and Android have the largest number of access points with active voice usage. What is awesome about the Echo is that everyone with one does active voice usage. How do you expect the introduction of Google Home to impact the consumer market? Marchick: People are really excited about it. I think they have a lot of brand affinity for Google. We still don’t know exactly what it will and won’t do. What Amazon got right is streaming music and home automation. It will be exciting to see what Google gets right. I am an advocate for the third party developer. Being part of building the Facebook and mobile ecosystems, I recognize that you have to make it valuable for developers to spend time in your platform. That speaks to an open ecosystem. By contrast, Google Adwords is not an open ecosystem but it is enormous. Google is the market leader in creating an open ecosystem, Android, and a close ecosystem, Adwords. In this market you need as many great people innovating as possible. So, I am assuming it will be open and developer-friendly whether they have a skill, app or some other model. It could be a different way than a traditional app model, but they haven’t told us what that different way is. Many people view Alexa as the first real voice assistant at any meaningful scale even though Siri would like to make the claim as well and Google’s variously named voice assistants may have a stronger case to make. How do you distinguish between what Siri and Google Now have done previously with Alexa, if at all? Marchick: It goes back to this idea of an open ecosystem. If you look at voice searches, there is a distinction between “Call Mom” and “I want to order a pizza.” The idea that voice search leads to third parties getting involved with complex interactions is much more sophisticated than making a call that Apple can control completely on its own platform. The Amazon Echo worked with other people to make stuff happen. That is different and leads to a whole new level of innovation. I can get a great recipe from the Food Network while I’m in the kitchen. That is awesome. Siri or Google would return search results and you start clicking and are back to text based stuff and that doesn’t work when your hands are messy with tomato sauce because you are in the kitchen. Your presentation tonight to the NYC Alexa Meetup group suggests that sessions per day are the key metric that Alexa skill developers should focus on. Why sessions per day specifically and not duration of session, number of interactions per session or number of users? Marchick: It’s a metric of engagement. I wanted the talk to focus on doubling your engagement. We can also talk about the other metrics and that would be a different presentation. I’m a growth marketer and I learned from the best in the business by being lucky enough to work at Facebook so I know very well there other metrics that are just as important. I am just focusing on sessions per day for that talk. Monetization or lack thereof is a topic that comes up in some of the Alexa developer forums. You mention, in-skill advertising in your presentation. 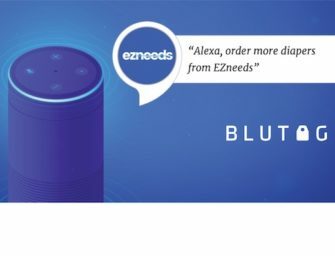 How do you see monetization playing out on Alexa and other platforms? Will it be advertising or another play and why? Marchick: There are still some structural issue to making advertising valuable. History repeats itself. Getting the ecosystem to scale is critical. Then once you have that, you have to determine the best way to monetize. Scale makes the world go around. That is what we are helping people with. Until there is scale it won’t be clear what is best. We actually have built a voice ad network and it’s ready whenever the market is ready. Who should be building for the voice web / voice ecosystem? Marchick: Let’s look at it another way. Who shouldn’t be building for it is someone who just wants to have a placeholder in the voice ecosystem. They won’t be satisfied with what happens because distribution and acquisition isn’t’ that functional yet. You have to be committed to building something that is interesting and useful for consumers. Otherwise you will have no installs or users. In mobile you could build a mediocre app and buy a million installs. You can’t do that here. What is your favorite voice-enabled skill, application or utility? Marchick: I use Amazon music daily. There is no question, the first two billion dollar voice applications are streaming music and home automation. But that said, we are starting to see some innovation. I used the Yahoo Fantasy football skill this weekend and it was pretty fun.